There are a variety of skin issues that concern at least 50% of the population worldwide. These include cysts, moles and skin tags primarily. Cysts are harmless, sac-like growths in the deeper layers of the skin. They form from the lining of a hair follicle that gets blocked. 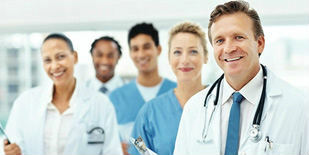 It is not known why cysts appear, or why some individuals have more than others. 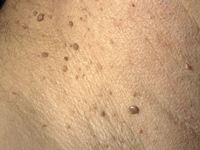 Milia (tiny surface white balls often found on the cheeks after sun exposure or following an injury). Milia can easily be squeezed out. Cysts can be inflamed if the contents of the cyst rupture into the surrounding skin. This makes them red and painful, and they may discharge yellow pus. 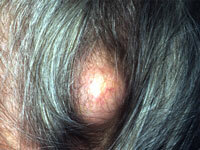 Occasionally bacteria enter the cyst and cause an infection which resembles a boil. When this happens, a physician should examine the infection and treat it with antibiotics or another appropriate treatment protocol to ensure reduction of inflammation and proper healing. Moles are common usually harmless skin lesions. They are correctly called melanocytic nevi (American spelling 'nevi') as they are due to a proliferation of the pigment cells, melanocytes. Moles may be flat or protruding. They vary in color from pink flesh tones to dark brown or black. The number of moles a person has depends on genetic factors and on sun exposure. Melanocytic nevi may be present at birth (congenital) but more usually begin to grow during childhood although new ones can appear at any age, sometimes in crops. Early nevus cells form nests on the junction between the epidermis (outer layer of the skin) and the dermis (inner layer) so are known as junctional nevi. These are flat colorful moles. With maturity, nests of nevus cells can also form in the dermis (compound nevi) or may only be found in the dermis (intradermal nevi). These nevi are thickened and often protrude from the skin surface. Non-pigmented dermal nevi may also be called cellular nevi. Heavily pigmented dermal nevi appear blue (blue nevi). Moles may darken following sun exposure or during pregnancy. During adulthood they often lose their pigmentation, and they may even disappear in old age. A mole present at birth is called a congenital pigmented nevus. One in a hundred babies have a congenital pigmented nevus varying in size from a few millimeters in diameter to covering half the baby's skin. There may an increased risk of melanoma developing within congenital nevi, especially very large ones, so if any change has been noted it should be checked by a doctor. Sometimes the skin around a mole loses its color so the mole appears to be surrounded by a white ring. This halo nevus occurs most often in children and teenagers. It is harmless, and with time the central mole and the white ring disappear. Loss of color may also be seen in melanoma, so if in doubt, it should be checked by a dermatologist. Freckles are small pale brown flat marks, more common in fair skinned individuals, especially those with red hair and blue eyes. They occur in sun exposed areas of skin, and are darker and more numerous during the summer months. 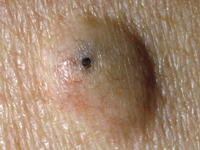 Atypical nevi, also called Clark's nevi, are moles that have unusual features such as an indistinct edge and/or larger size, often resembling a cancerous mole (melanoma), but are actually benign. Because of their worrying appearance, they are often removed, although this is not always necessary. People with atypical nevi may have an increased risk of developing melanoma, especially if there has been a close family member who has had a melanoma. Malignant melanoma is a cancerous growth occurring in melanocytes (pigment cells). 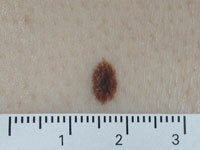 A melanoma may look quite like a harmless mole. If a mole changes size, shape or color, or a new one develops in adult life it should be evaluated by a doctor or preferably by a dermatologist. The dermatologist may examine the mole by dermoscopy. It is not always possible to tell whether the lesion is a melanoma, so sometimes it is necessary to cut the mole out for pathological examination. Skin tags develop in both men and women as they grow older. They are skin colored or darker and range in size from 1mm to 5cm. They are most often found in the skin folds (neck, armpits, and groin). They tend to be more numerous in obese persons and in those with type 2 diabetes mellitus. Skin tags are made up of loosely arranged collagen fibers and blood vessels surrounded by a thickened or thinned-out epidermis. 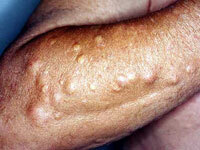 Seborrhoeic keratoses, viral warts or molluscum contagiosum may resemble skin tags. We routinely remove cysts and skin tags, and do shaving and biopsy of moles, as well as other treatment procedures customized for the medical condition. 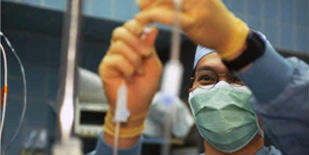 Get more information about these procedures and more here. The first step is to have a consultation with a Dermatologist or Plastic Surgeon. If you are interested in making an appointment, please call 212-794-8800 or enter your contact information on the form below so that we can contact you with scheduling information.